On Wings of Eagles: His "collection"
The other day I read about how the prices of some paintings are falling rapidly. As I read the article I wondered just how much paintings actually go for. The most expensive painting according to Wikipedia was sold for over $300 million dollars. It's called "Interchange" by Willem de Kooning. I thought -- "wow that's a lot of money." 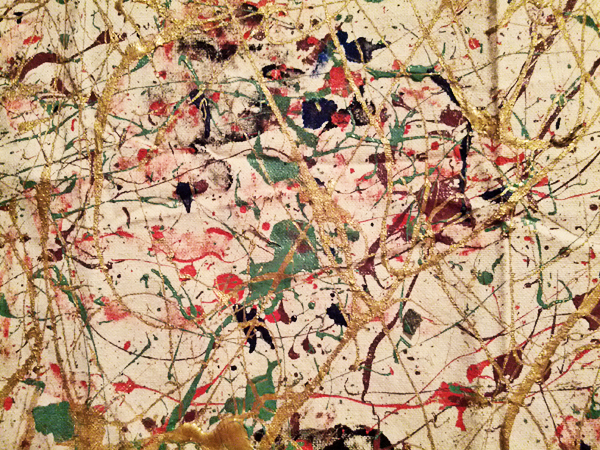 Then there was another painting called "Number 17A" by Jackson Pollock that was sold for over $200 million dollars! As I looked at Pollock's collection the paintings looked like a bunch of house painters' drop cloths that were hung on the wall. 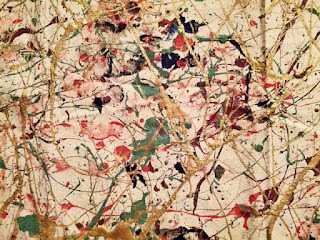 To be truthful they just looked like a mess -- yet people have paid millions of dollars for these works! That got me to thinking -- what is a human life worth? To some uninformed or cynical eyes, human beings are just a mess of "useless eaters" (a phrase used by Henry Kissinger to describe the elderly) ... but we know that every human life is extremely valuable because God was willing to pay the highest price for it. He gave His Son for your life -- declaring its value in His own precious blood! So while you may feel, or even look like a house painter's drop cloth, in God's economy -- the only one that matters -- you are priceless, of inestimable value! You are a precious piece in His "collection" His valuation of you is filled with loving, "worth more than many sparrows"; bought and paid for by the King of Kings whose taste is impeccable! Dear Lord, we thank You that we are precious in Your sight. Our value is beyond what we can imagine in Your eyes. Help us remember that each of us holds the same value. In the Name of Jesus, Amen.